So over the years since Ubuntu first came on the scene I’ve heard people joke about how many different versions of Ubuntu there are. There is a Christian Edition, Satanic Edition, Green edition and so many more. Often, I’ve heard people joke about an Ubuntu Klingon Edition which doesn’t really exist… until now. 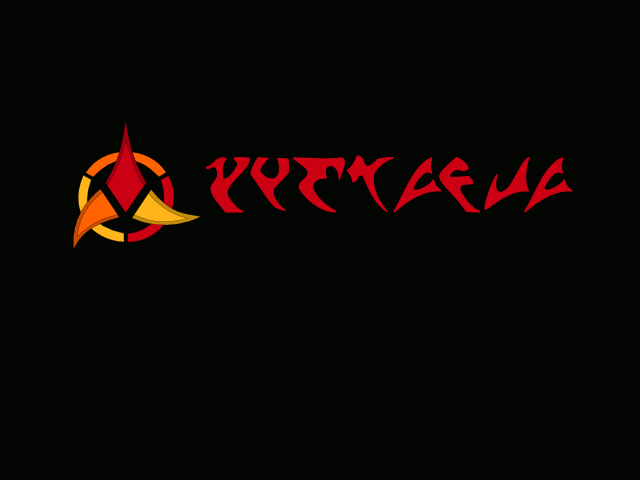 Welcome to the new tlhIngbuntu, the real ubuntu Klingon Edition. I have setup a basic repo for it and will be adding new packages over the coming weeks. So far I only have a new usplash theme package in there, but more will be coming soon. Where could a person download a copy of the Klingon version of Ubuntu? You can’t anymore. I didn’t have the time to keep updating it to the latest versions of Ubuntu.